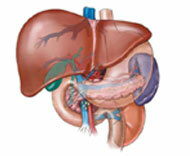 is a specially formulated Electropathy Herbal food supplement for the healthy maintenance of Liver functioning. 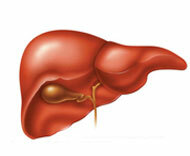 It is a pure herbal based dietary food supplement for healthy liver and the cure for almost all the disorders of Liver. Ingredients: Liver Tone - E (SP) - has pure extracts of herbs(Vegetable Kingdom) such as Papaya,Bhumi Aamlaki, Macoy, Kalmegh along with 13 other plants. (Vegetable Kingdom). Physiological Action: Five plants act for the normal maintenance of Physiological functions Four of the plants act for the regeneration of Liver cells, Three of these act for rejuvenating the Liver and Two plants have healing properties. Scientific Method of preparation:The clean parts of the plants to be used are heated at a constant temperature of 37o C, resembling to the normal Human body temperature which enables the properties extraction with the nature's OD Force.All Electropathy herbal dietary food supplements are prepared by the same method. SYNTHESIS DROPS 1 Bottle of 30 ml. 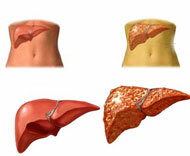 Price: Liver Tone - E (SP) Package for one month dosage. PAYMENT SHOULD BE SENT IN ADVANCE THROUGH PAY ORDER/ DEMAND DRAFT ONLY AT OUR ADDRESS GIVEN BELOW. PACKAGING AND FORWARDING CHARGES ARE EXTRA, AS PER ACTUAL APPLICABLE. THE PACKAGE IS FORWARDED THROUGH COURIER AFTER RECEIPT OF THE PAYMENT. FOR THE PACKAGING AND FORWARDING CHARGES APPLICABLE RELATED QUERIES PLEASE E-MAIL TO US. is the herbal(Vegetable Kingdom) oriented New system developed by Dr. C.C. Mattei of Bologna, Italy. 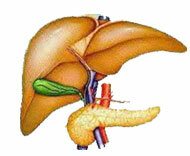 Electropathy herbal dietary food supplements are cheaper, quicker and safer.